We have the honor of providing excellent support services to numerous educational and corporate organizations nationwide. Not only have we mastered providing quality personalized service, we’ve managed to do it while keeping our services competitively priced! Operating since 2001, our helpdesk, called eLOCS, offers a dedicated team of experienced and highly-trained professionals who provide exceptional support that is personalized and 100% relevant to the user’s situation. Whether your organization has 40 or 400,000 users, our unique model allows us to deliver top-notch support that is proven to ensure a smoother elearning experience for users. 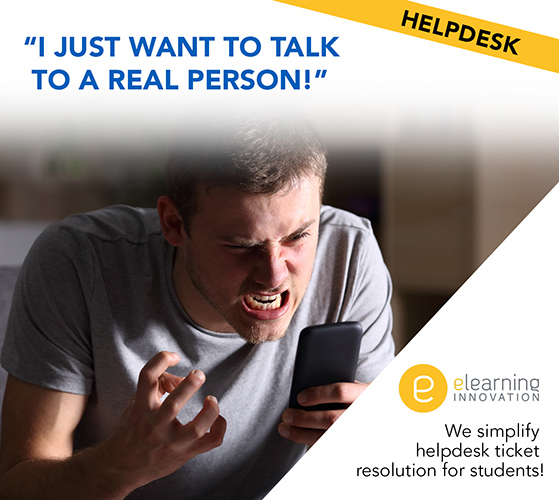 Staffing a helpdesk with your internal resources can be costly, difficult to maintain if you have seasonal fluctuations (semester and summer breaks). It often takes your internal resources away from focusing on their core responsibilities. 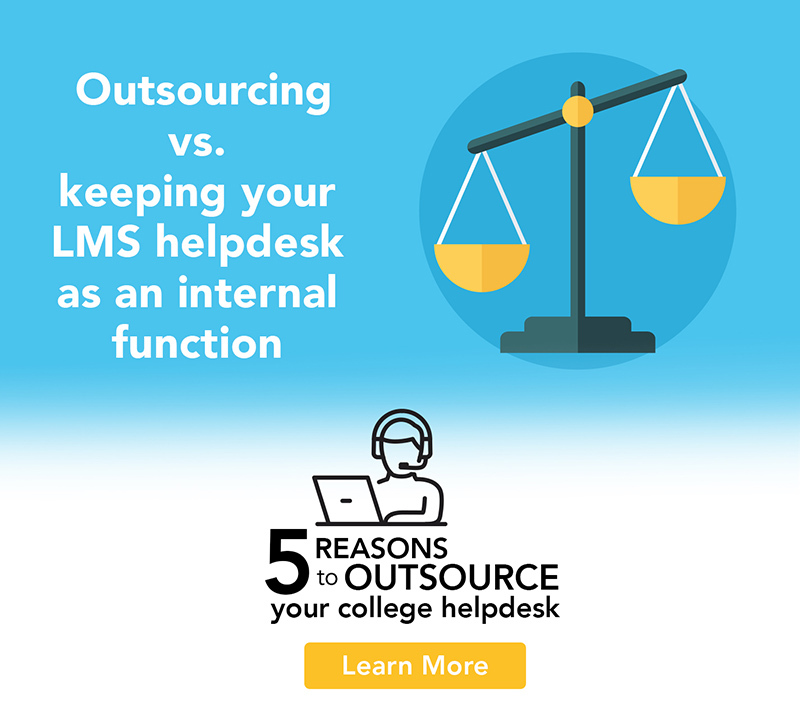 Whether your organization uses Moodle, Blackboard, Canvas, or another LMS solution, outsourcing your helpdesk can provide a better user experience and at a lower cost. Annual Administrative Fee $500 Included in Package Price. *All plans include service for an unlimited number of users. US-Based Team of Technical Professionals with Extensive Customer Service, Internet Security, and LMS-Focused Trainings. “New York Medical College has used the eLearning Innovation support services and helpdesk ticketing system for the past 9 years. 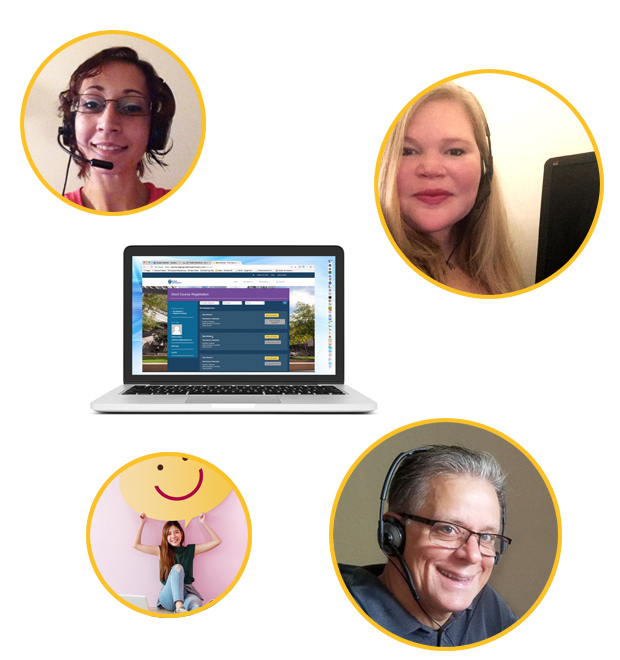 I have always had a great experience dealing with the eLearning Innovation team. They always been quick to adjust any procedure changes that we have requested. 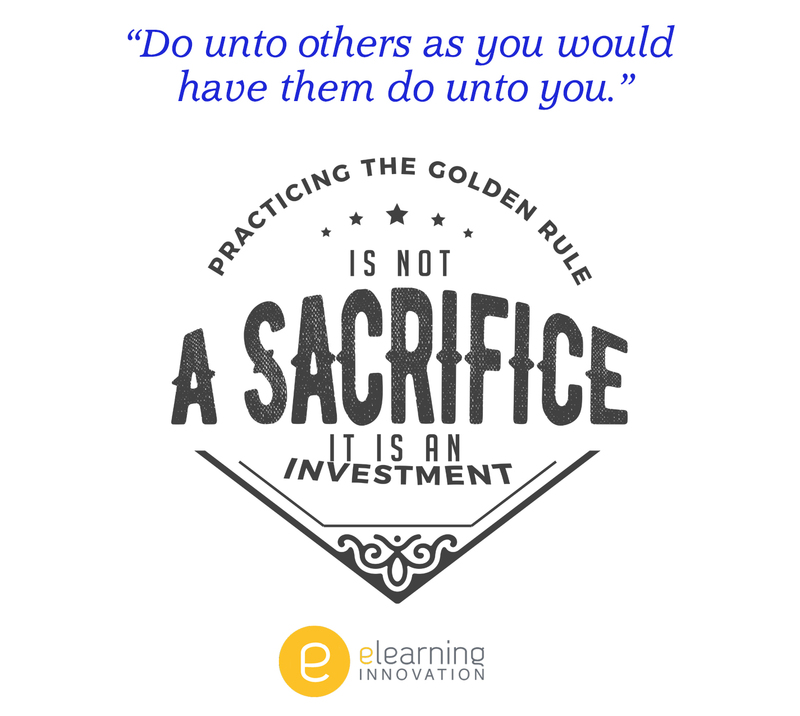 Do unto others as you would do for yourself. By applying this maxim, we consistently deliver positive helpdesk experiences for our eLOCS helpdesk users. At eLOCS Help Center, customer service IS our business and our philosophy IS client centric. We truly put your problems before our own. 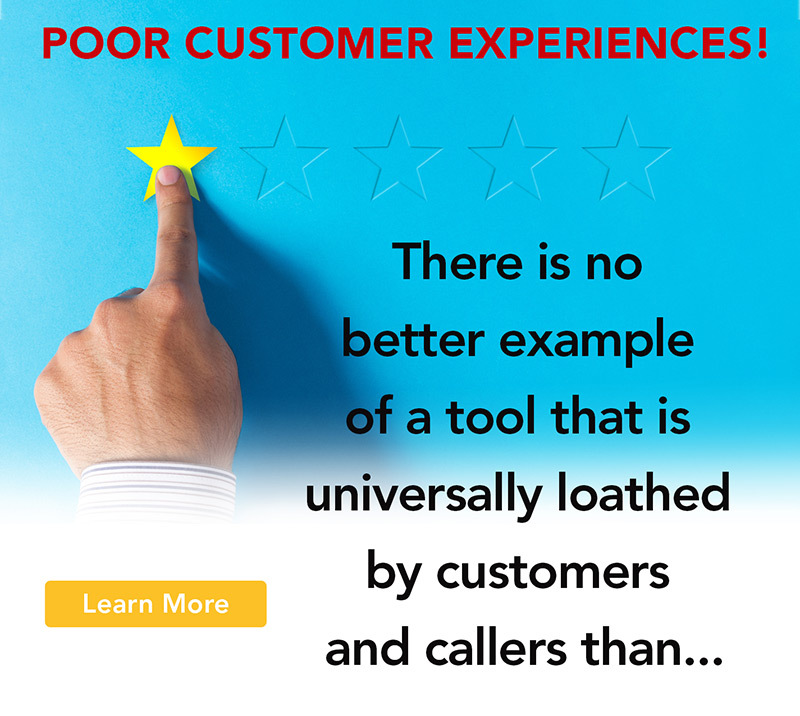 We know there is danger in losing customer good-will if our service involves practices that are inherently frustrating. We treat our customers as we want to be treated ourselves. That’s the Golden Rule and that’s our truth. How many users am I allowed to have, for each of your three plans? There are no limits to the number of users under our plans. All plans are based on blocks of hours that will be used to support your users throughout the contract year. As a rule of thumb, we recommend 100 hours of support should be sufficient to support 1,000 users in a year. Do I need to pay for a year up front for Helpdesk Services? The short answer is yes. We offer cost incentives based on an annual contact with an upfront payment and auto-renewal. Your annual commitment allows us to better prepare our business for staffing needs (we don’t hire temps). However, if your organization needs to pay on a monthly basis, we will set up a monthly fee schedule. Monthly invoicing will result in a higher average monthly fee. We are a transparent company. If you have additional questions, please ask. What happens if I go over the hours allowed for in the plan I purchased? While our contracts include overage charges, we will run activity reports throughout the year and work with you to anticipate potential overages before they happen, selling you additional blocks of hours in advance to avoid overages. We are always proactive, working in the best interest of our clients. Do you use a Tier system? We do not use a traditional “Tier system” as most would be familiar with. We find that many end-users are frustrated by tier systems that bounce them between agents and force them to go through a script based “Tier 1” agent. All of our agents would be considered Tier 2 or higher in many support settings. Instead, we will provide end-users with one point of contact and our agents will run down a solution for the end-user by making use of all of the available resources and expertise within our company. What are common student problems that eLOCS addresses? How do I log onto the Learning management System? How do I access course forums in the LMS? How do I retrieve course certificates/transcripts from the LMS? How do I access my grades in the course? How do I order my course list? How do I know what browser I should be using for my courses? How do I update my browser settings to allow flash, and popups? How do I send a message to another student in my course? How do I update my photo in the LMS? What are common professor/faculty problems that eLOCS addresses? How do I back up and restore my course from last semester? How do I organize my gradebook? Why are the grades not totaling correctly in my course? How do I allow a student to take a quiz or test they have missed? How can I set up an assignment to allow me the opportunity to mark up the paper and re-submit it to the student? How do I communicate with students individually in my course? What is the difference in all of these forums? How do I set up a quiz/test (organize the question bank)? How do groups work within the course? The short answer is yes. We offer cost incentives based on an annual contact with an upfront payment and auto-renewal. Your annual commitment allows us to better prepare our business for staffing needs (we don’t hire temps), and it lowers the time our accounting department spends on billing issues and invoicing. However, if your organization needs to pay on a monthly basis, we will set up a monthly fee schedule. Monthly invoicing will result in a higher average monthly fee. We are a transparent company. If you have additional questions, please ask. Still have questions about eLOCS helpdesk?